Despite this being the sector of cooperation, this story about investments made across organizational lines is extraordinary. To NPQ, it reinforces the importance of stakeholders—both individuals and institutions. It came right down to the wire. The Southern Association of Colleges and Schools Commission on Colleges (SACSCOC), a college accreditor, had placed Bennett College on two-year probation, threatening to pull the college’s accreditation for financial instability. Bennett had until February 4th to submit an appeal. In order to submit the brief, the school had to raise $5 million. It made the money with just minutes to spare, thanks in a big way to a college 20 miles down the road. 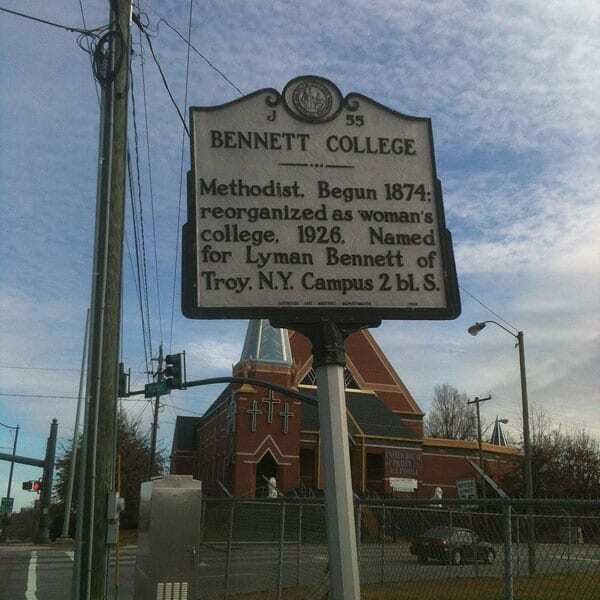 Bennett College, a nonprofit, is one of only two remaining women-only historically black colleges (the other is Spelman College in Atlanta). It began in the basement of a Methodist Protestant church in 1873 and went on to build on land purchased five years later by emancipated slaves. Started as co-ed, it switched to women only in 1926. Since 1930, 5,000 women have graduated. In order to run the institution’s 24 areas of study, it takes more than tuition, which accounted for barely half of the revenue in 2017. That year, it had one month of cash on hand and a net loss of $1 million. Twenty miles down the road in North Carolina is High Point University. It, too, is a nonprofit and it, too, was started by the Methodist Protestant Church (now United Methodist Church) in 1924. High Point, with an undergraduate enrollment of 4,500, is not large, but it is considerably larger than Bennett, which currently enrolls 463 full-time students and two part time students. High Point also has a healthy net revenue position, with a surplus in 2017 of $69 million, even after $196 million in expenses. As the clock ticked down on Bennett’s fundraising, High Point stepped in with a rare gift, a donation from one college to another college of $1 million, which had been approved by a vote of the faculty. The campaign had raised $3.8 million through social media up to that point. High Point’s president, Dr. Nido R. Qubein, challenged others to #StandWithBennett in a livestreamed conference on February 1st.